Windows are an essential element of your home. They filter in sunlight and keep your home fresh and are quite important for air circulation. While windows serve such purposes, it is crucial to make sure that your windows are secure and not susceptible to break-ins. 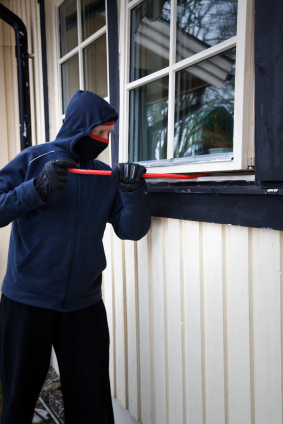 According to statistics, almost 30% of break-ins can be attributed to poorly secured windows. 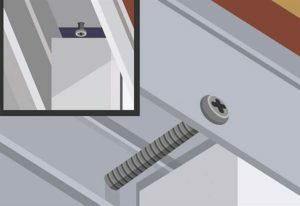 Most windows have a clasp for locking them, but these latches can easily be tampered with. Ensure the security of your windows with the help of proper window hardware. Here are some of the commonly used secondary window protection locks. These are suited for side sliding windows. They resemble a clamp with a thumb screw at the top. It is quite cheap and relatively easy to install considering the fact that no tools are required. 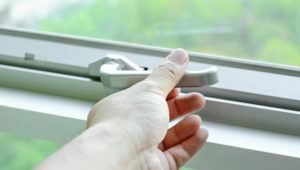 Simply use the thumb screw to tighten the lock at the edge of the window track. This prevents the window from being opened and works quite well in securing your windows. Window wedges are great for securing, as well as child-proofing, the windows in your home. They are used for windows that slide upwards. The wedges come with a pair of strong velcro strips that adhere to the internal frame of the window. The wedges are fixed to the velcro strips and require no other tools for its installation. The wedges can be fixed in such a way so that the window opens to a preferred distance only. The wedges will stop the windows from being opened any further. These hinges are ideal for sliding windows and patio doors. They are made of a transparent, plastic material and remain discreet. These hinges are attached on windows that slide over each other. One end of the hinge is fixed on the window pane over which the other pane slides. The other end can be pulled up to stop the window from opening or pulled down to allow the window to slide open. They are effective in child-proofing as well. These are sturdy locks that come with a key, making it quite effective in securing your windows. The locks are made of die-cast zinc. The attachment is fastened on the window frames using screws. Windows can be opened only if the lock is released. These are high-quality locks and provide a high level of security. The key, however, should be stored in such a way that it is easily accessible to the members of the house in case of emergencies. Restrictor cables restrict the distance up to which a window can be opened. Installing cable restrictors require a hole to be drilled into the window frame. One end of the cable is attached to the window frame and the other is attached to the movable window pane. Further, the lock can be opened or closed with the help of a key making the attachment more secure.